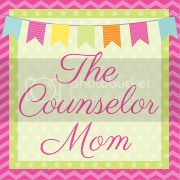 The Counselor Mom: Happy Halloween! My darling little girls decided they wanted to be 'pink princesses' this year. And for those not in the know, pink princess means Sleeping Beauty, aka Princess Aurora. We have reached the age where mommy doesn't get to pick out their cute costumes anymore, but it is way more fun to have your child run up and down the aisles looking at all of the fun costume ideas. I just LOVE Halloween and all the crazy stuff that goes along with it.